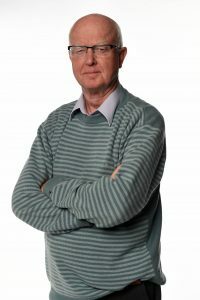 During Archie’s long career in broadcasting he has commentated on many high profile events including six FIFA World Cups and four Olympic Games. He has also covered numerous UEFA European Championships and European Cup Finals. In 1985 he was installed as the Rector of the University of Edinburgh, a post he held until 1988. In 1992 Archie won the Sony Gold Award for Sports Broadcasting and in 2005 he was recognised by Scottish BAFTA when he was presented with an award for ‘Special Contribution to Scottish Broadcasting’. Archie is also an acknowledged author having written extensively on the subject of Scottish football.